The ECA was founded on the 1st of January 1999 as an independent not-for-profit organisation. It is chaired by a Scientific Advisory Board with 11 members of the pharmaceutical industry and regulatory authorities. With the beginning of 2010 the organisation was transferred to a Foundation. 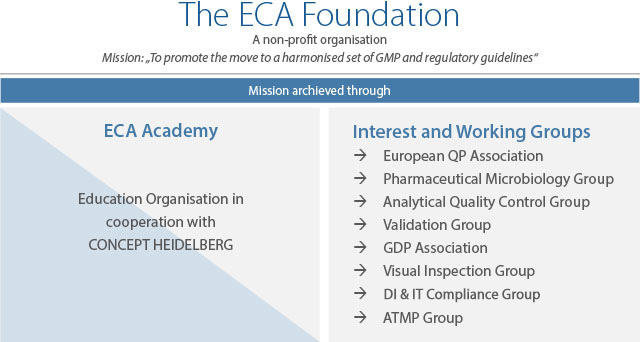 "The ECA will provide support to the Pharmaceutical Industry and Regulators to promote the move towards a harmonised set of GMP/GDP and regulatory guidelines by providing information and interpretation of new or updated guidances".